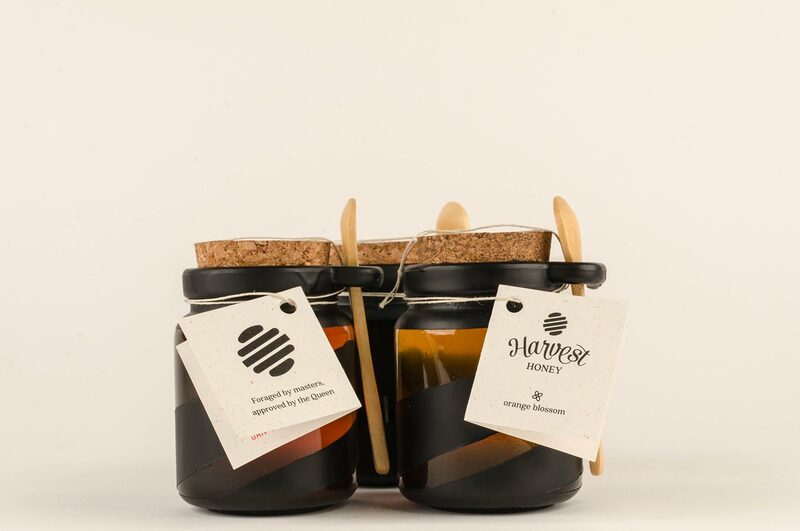 Harvest Honey is a single variety honey producer created in response to a prompt to develop a brand and packaging for it. 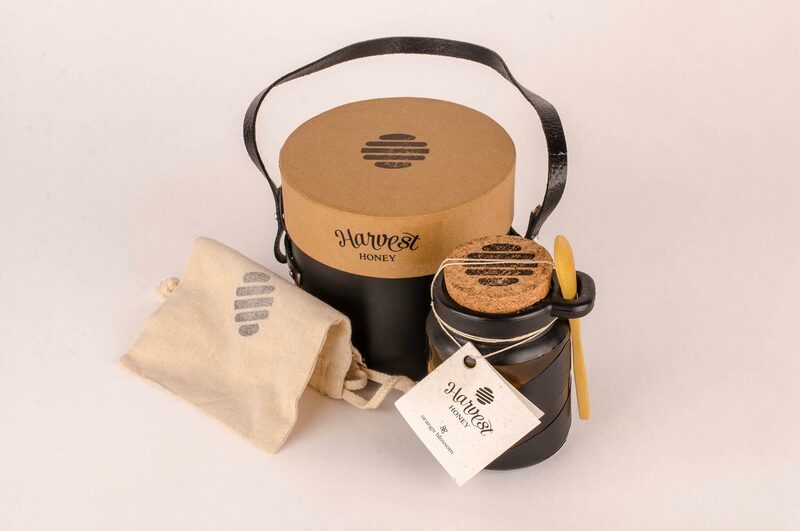 It was brought to life by choosing a unique container and labeling system that focuses on using the color of the honey as a primary identifier for each variety of honey. 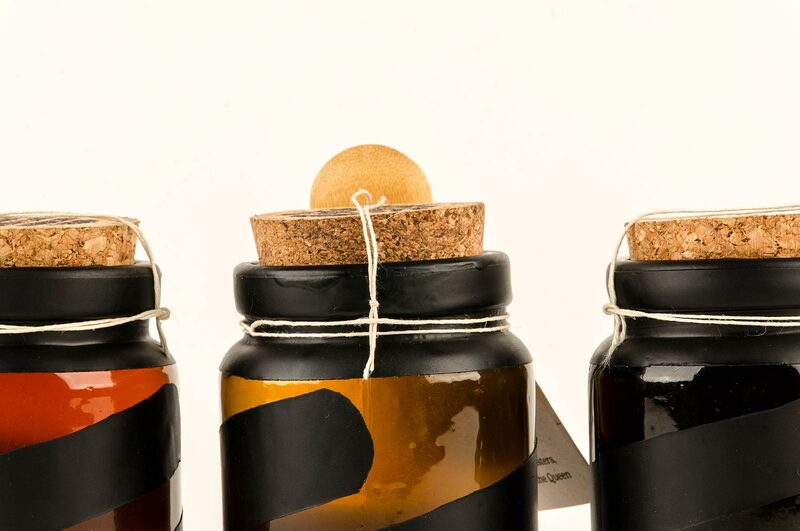 The natural hemp paper stock tag and twine was chosen for the primary display panel because of its unobtrusive behavior with the jar design and to act as wings. 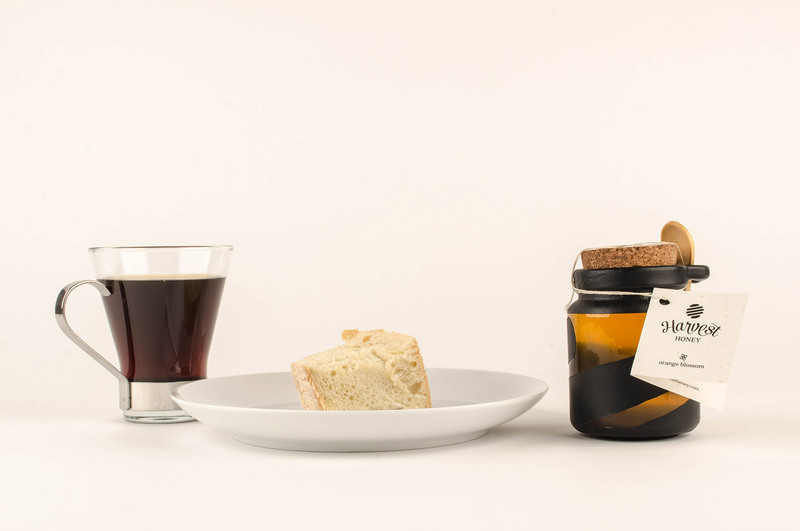 The matte black design wrapped around the jar reflects an enlargement of the brand's primary icon. 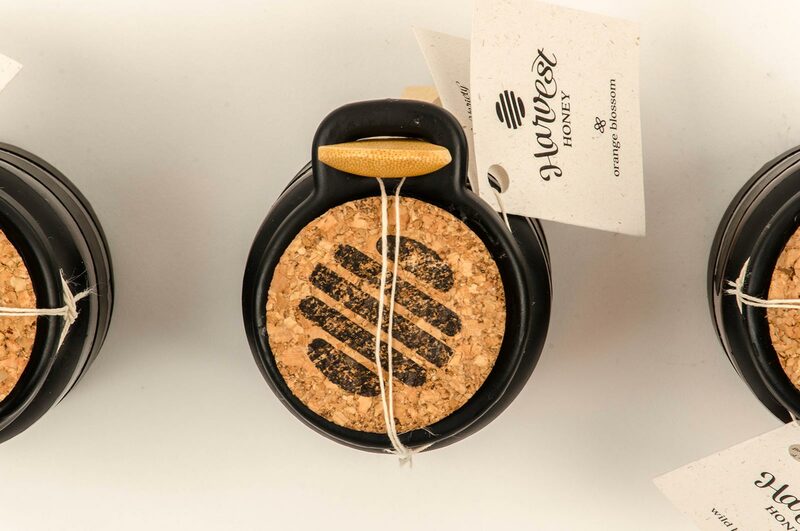 With all the honey brands out there, we wanted to create something that stands out on the market shelf; something one of our aunts would buy who has honey with her toast every morning. Something that cuts through the cheap plastic bottles and tells you this honey is harvested by loving beekeepers wearing fashionable beekeeping suits. The modern design painted onto the surface of the jar acts as an enlarged reflection of the primary brand icon. The typography was chosen for its free-flowing and up-lifting spirit as well the movement it gives of, sort of like a bee. ‘Harvest’ was put on a curve to take away the feeling of a static position as well as incorporate the brand identifier, honey, below it. 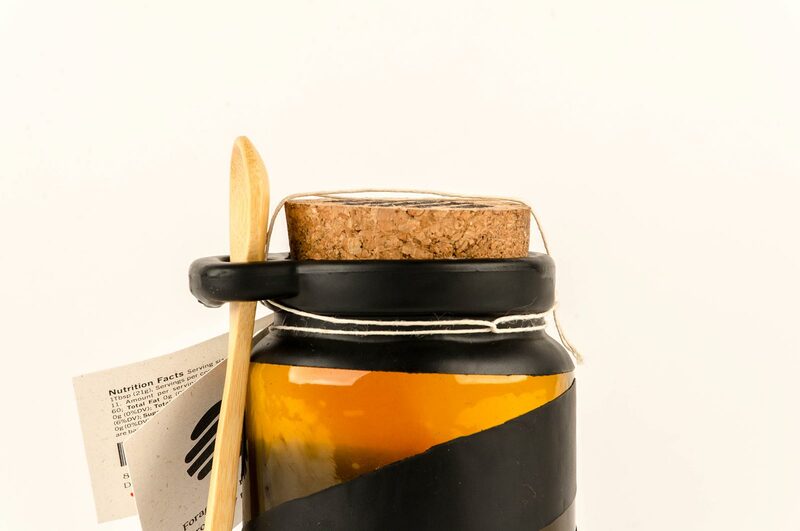 Product names and iconography on the primary display panel also give each honey jar a distinct difference to support the color. One last touch was given by hand stamping the primary icon on each jar in black ink and the bottling date inside the tag with red ink. 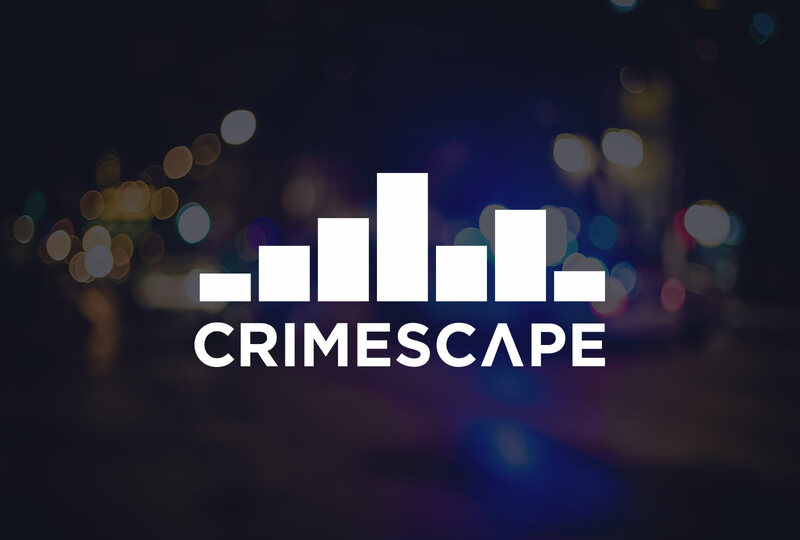 CrimeScape is an open-source predictive policing startup developed by CivicScape. Discover how we designed the user interface and user experience for this webapp. 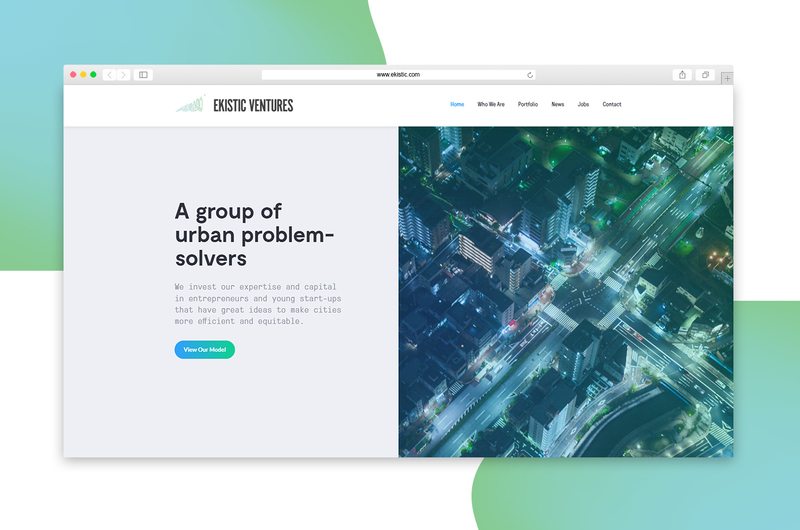 Ekistic Ventures invests in innovative startups that make cities more efficient and equitable. See how we developed and designed their website for a portfolio of startup companies.